I love Ed's work, and am really excited about his new one. 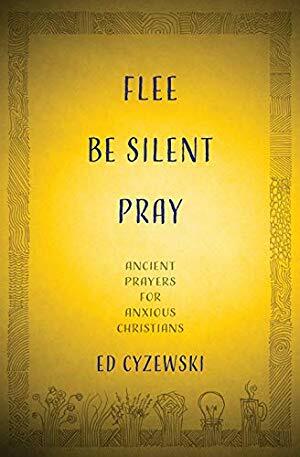 From the publisher: "The Christian prayer tradition known as contemplation, primarily preserved in monasteries through practices such as centering prayer... Cyzewski learned that the unstoppable love of God forms the foundation of all Christian spirituality, and that daily contemplative prayer helps us rest in God's loving presence. Using Henrí Nouwen's The Way of the Heart to highlight the three movements into contemplation with the words flee, be silent, pray, Cyzewski found what it means to quiet his religious anxiety by resting in the love of God." When daily prayer and Bible study leaves a Christian anxious, doubtful, and frustrated, is there any hope for finding peace with God? Ed Cyzewski grew up in a restrictive Catholic Church, immersed himself in the hard-working world of evangelical Christianity as the path to knowing God, and then graduated uncertain about praying or finding God. The Christian prayer tradition known as contemplation, primarily preserved in monasteries through practices such as centering prayer, was the answer he didn’t want to find. If his Protestant faith was going to survive, he needed to move beyond his past grudges in order to learn Christian meditation and contemplative prayer from Catholic teachers. Contemplative prayer goes beyond the limits of Bible study and experiences the loving presence of God described in the scriptures. While scripture and spiritual disciplines have their place, Cyzewski learned that the unstoppable love of God forms the foundation of all Christian spirituality, and that daily contemplative prayer helps us rest in God’s loving presence. Using Henrí Nouwen’s The Way of the Heart to highlight the three movements into contemplation with the words flee, be silent, pray, Cyzewski found what it means to quiet his religious anxiety by resting in the love of God. Anxious evangelicals and Christians on the brink of losing their faith will find an accessible path toward using this simple, proven approach to daily prayer.